Our office and teaching facility is located at 516 N. Quarantina, Santa Barbara, CA, one mile from the ocean, and 100 miles north of Los Angeles. We are situated two blocks west of Milpas St. between Haley and Cota St. (a mere half block from Ortega Park and the Santa Barbara Junior High School/ Marjorie Luke Theatre) within easy access to transit system bus stops, pedestrian walkways, bike lanes and the 101 Freeway. 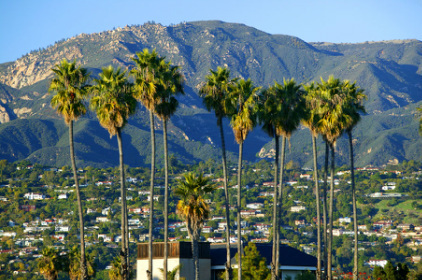 Santa Barbara offers 20 miles of beautiful beaches, rich gardens, charming architecture, endless cultural activities and a diverse choice of outdoor activities due to the unique accessibility of mountains and seashore. The climate is fair year round. The population is approximately 98,000.